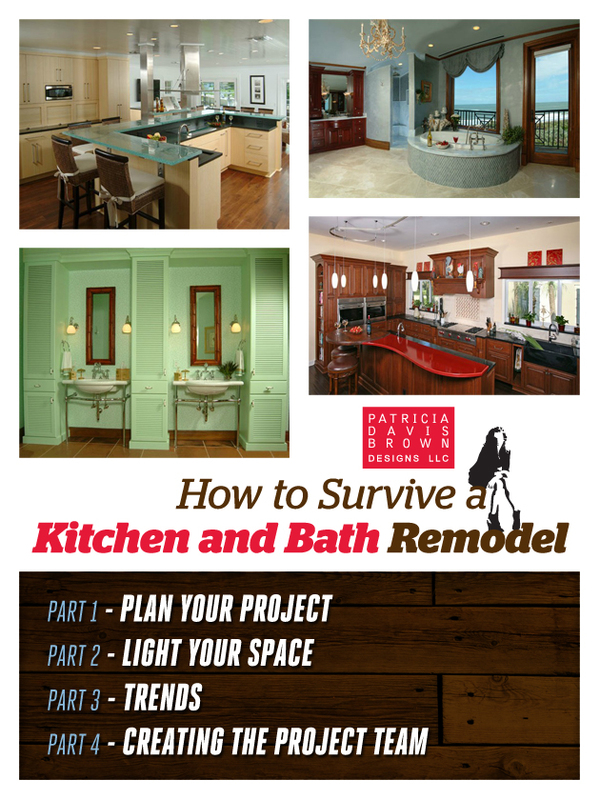 Award-winning Interior Designer, Patricia Davis Brown, shows you what it takes to survive your kitchen or bath remodeling project with her Video Seminar: How to Survive a Kitchen and Bath Remodel. Whether you’re tackling your outdated, cramped kitchen or your lack-luster bathroom, this video series is the perfect crash course. You’ll walk away understanding what you’re getting into and what it will take to complete your project on time, on budget and according to plan. Unlike home and garden television shows that skim over so many of the elements in order to fit their half-hour time slots, Patricia takes the time to get into specific detail on the points that matter most to your project. This video is perfect for the do-it-yourself homeowner who wants professional advice at a fraction of the cost. It’s also great for anyone who is hiring a contractor or designer to complete the project. Use the videos as an educational base, giving you the knowledge needed to understand each aspect of the project and gauge its progress along the way. Having a firm functional understanding of your needs will help you immensely if you choose to go the route of hiring a professional to do the job. Make sure that you are utilizing the services of reputable groups like Schantz Home Improvement Company to get optimal results that match your plans and exceed expectations. Bring Patricia into Your Project Today! Get the Entire, 4-Part Series for: $29! Starting a remodeling project? Afraid that you’ll be in over your head and stuck without a kitchen or bathroom as you try to fix all the mistakes? Patricia believes “If you fail to plan, you plan to fail.” After watching this video, you’ll be prepared to create a successful plan for your kitchen or bath remodeling project. Grab your pen and paper – you’ll want to take notes as Patricia walks you through the decisions you need to make before getting started, the and the questions you should ask. You’ll walk away knowing how to develop a kitchen or bath remodeling plan that meets your expectations, stays within your budget and can be completed in a tolerable amount of time. I’m Ready! Help me Plan my Project! Your lighting plan is one of the most important elements of any remodeling project. Light can highlight a feature, correct a flaw and, most importantly for your kitchen and bath, the right light can make an otherwise useless space exceptionally functional. Patricia will show you how to determine where to place lights and how to choose which type of light works best in each area of your kitchen or bath remodeling project. You’ll walk away knowing how to create a lighting plan that will showcase your new space and make it efficient, useful and practical. I’m Ready! Help me figure out where to place my lights! Remember the avocado green and harvest gold kitchens from the 1970’s? Those trends were so “hot” back then – but quickly showed their age and now need to be replaced to keep up with the times. 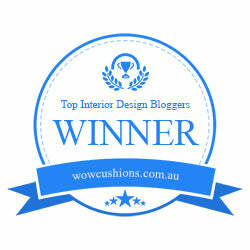 Patricia will show you what makes a trend a “fad” that will soon be outdated – and what makes a trend “timeless”. From colors to materials to styles, learn how to incorporate timeless trends in your kitchen or bath remodel. I’m Ready! Help me avoid costly mistakes – I don’t want to be doing this again next year! Patricia will show you how to create a team that will help you execute your plan and see you through to a fully-finished kitchen or bath. You’ll walk away from this video with a great idea of who you need to get your kitchen or bath remodeling project off the ground, rolling and completed on budget, on time and just as you had envisioned it. I’m Ready! Help me understand all of the jobs that I’ll be managing! Get started today with your Kitchen or Bath remodel! Also available on Amazon and Kindle! Hi Andrea, Thanks for your comments. I try to give tips that anyone can use for their remodel and avoid the dreaded pitfalls.